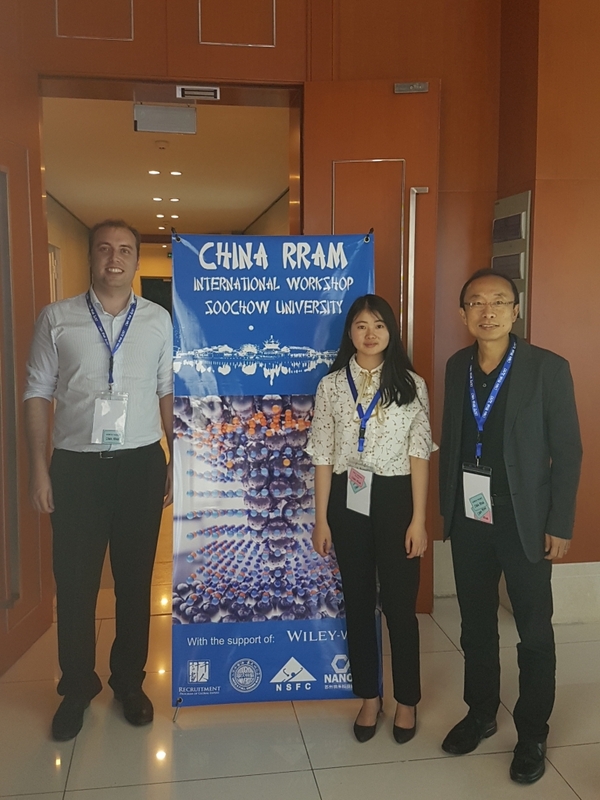 On 12th-13th of June took place the first ChinaRRAM International Workshop at Soochow University (Suzhou, China). 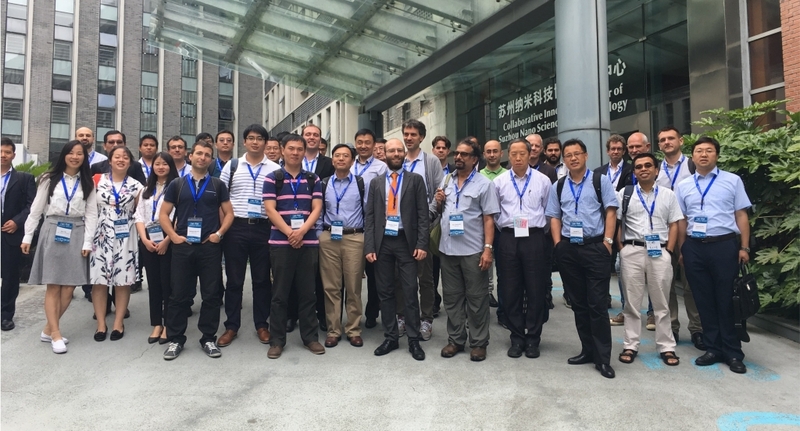 The meeting, which was chaired by Prof. Mario Lanza (lanzalab.com) and had the support of Wiley-VCH, focused on discussing the status and prospects of resistive random access memory devices (RRAM) and related applications. 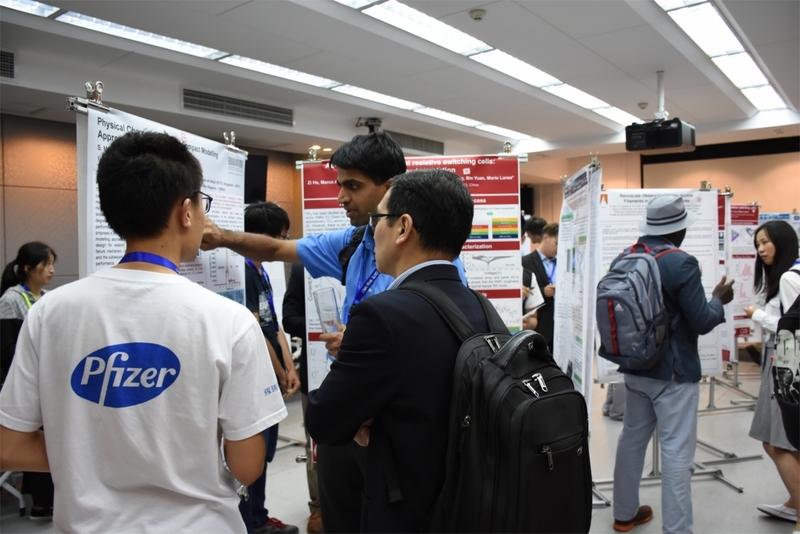 The meeting consisted on 20 invited talks, 8 regular talks, and one poster session, and was attended by 62 experts from 11 countries including (Mainland China, USA, United Kingdom, Germany, Spain, Italy, Korea, Singapore, Hong Kong, Argentina, Taiwan, France). Most attendants came from academia (master/PhD students, postdocs and professors), and professionals/engineers from top companies like IBM, CEA-LETI and MD-Lab also attended. The opening talk was given by Prof. H.-S. Philip Wong (Stanford University), who presented a visionary talk about the future of electronic memories and RRAM devices. In the Session I: Advanced Characterization, Prof. Paul C. McIntyre (Stanford University) presented a revolutionary approach for RRAM characterization based on the use of liquid electrodes (see Nano Letters 2017, DOI: 10.1021/acs.nanolett.7b01460). After that, Prof. Anthony Kenyon (University College London) and Prof. Kin Leong Pey (Singapore University of Technology and Design) presented cutting-edge in situ electronic plus cross-sectional TEM studies. 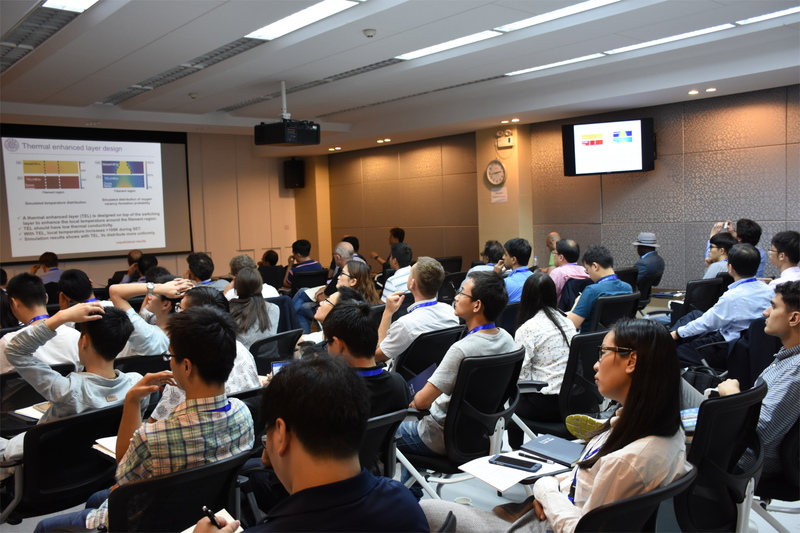 In Session II: Neuromorphic systems, Prof. Jinfeng Kang (Peking University), Huaqiang Wu (Tsinghua University) and Hyunsang Hwang (Pohang University of Science & Technology) presented the use of memristive devices for neuromorphic computing. This is a new computing architecture that is expected to enable the fabrication of brain-like chips. As it can be seen from their affiliations, Asian groups are playing a very important role in this field. The Session III: Ionic Movement was steered by Wei Lu (Professor at University of Michigan and co-founder of Crossbar, a 85 M$ company from the Silicon Valley) and his former postdoc Yuchao Yang, now assistant professor at Peking University. The Session IV: Simulation and Modeling was led by European scientists (Prof. Luca Larcher and Dr. Marco A. Villena), who presented multiscale and physical models to describe the behavior of RRAM devices (respectively). In the same session, Ernest Wu (IBM, USA) delivered a spectacular talk about the use of time-dependent clustering model in RRAM devices, a work that recently granted him with the distinction of IEEE Fellow. In Session V: 2D materials in RRAMs, Prof. Lanza presented his visionary talk about the use of layered insulators in electronic devices (see Advanced Electronic Materials, 1600195, 2017) and, more specifically, introduced the first RRAM device using multilayer hexagonal boron nitride (h-BN) as switching medium. In the same line, Yuanyuan Shi engineered an entire family of h-BN based RRAM devices, including a flexible and transparent RRAM device using graphene electrodes (see Advanced Functional Materials, 27, 1604811, 2017). Prof. Shibing Long (IMECAS, China) also discussed the use of graphene electrodes in RRAM technology. 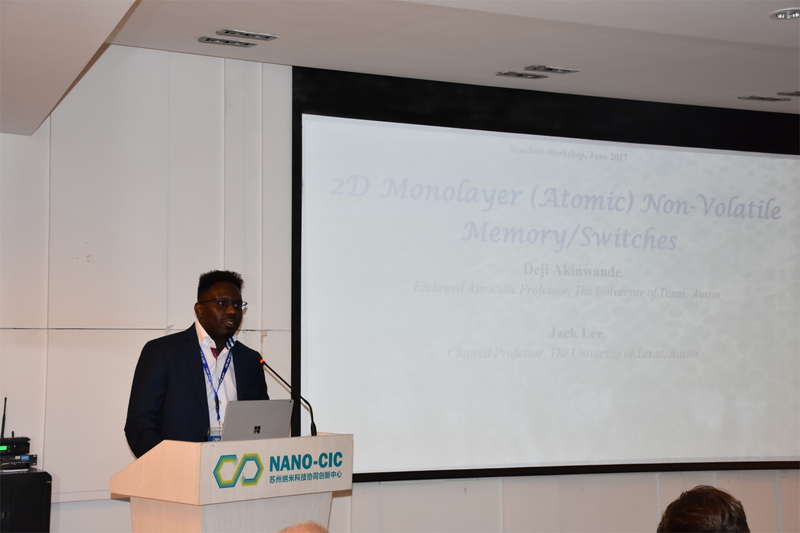 These presentations were preceded by the talk of Prof. Deji Akinwande (University of Texas), who presented his process on 2D-materials-based devices, not only 2D materials based RRAM prototypes, but also other more exotic developments, such as electronic tattoos. The last two sessions (Session VI: Device Technology and Session VII: Charge trapping in RRAM) grouped expert scientists like Weidong Zhang, Jordi Suñe and Francesco Puglisi, who discussed additional technical behaviors of RRAM devices. Special mention deserves the talk of Dr. Gabriele Navarro (from CEA-LETI) who discussed different resistive switching technologies. Dr. Hakim Meskine (Wiley-VCH) instructed all the attendants on the publication process of high impact research papers at Wiley-VCH, one of the most influencial scientific publishing groups all around the world. The posters session counted with 24 contributions, being the one from Xiaolong Zhao (IMECAS, China) the winner of the best poster award. 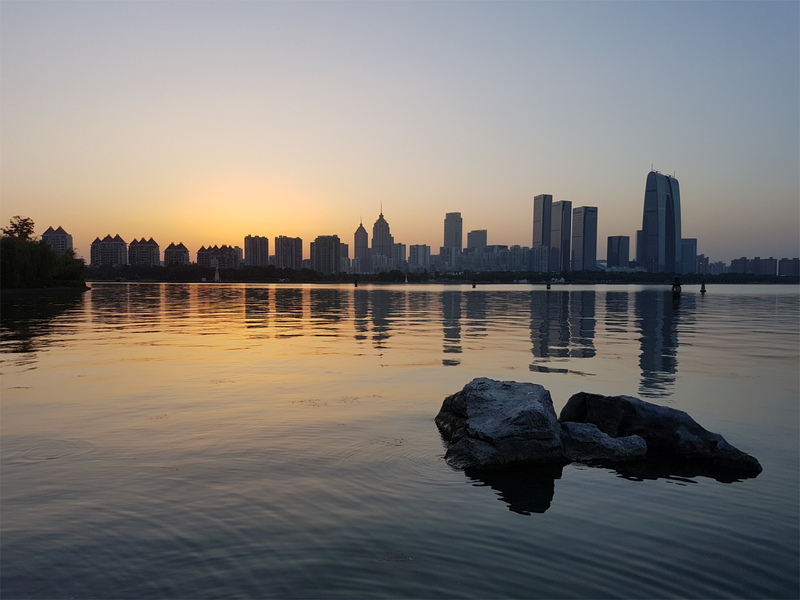 This award consisted on a diploma and a complimentary stipend, and it was handed by Prof. H.-S. Philip Wong during the gala dinner, which was held in a restaurant by the beautiful Jinji Lake. During the closing speech Prof. Wong said “I speak by everyone if I say that the first ChinaRRAM International Workshop has been an absolute success”. The attendants of ChinaRRAM specially valued the focused topics, the high technical quality of all the talks, and the facility to interact with other experts. The Q&A was very dense, full of interaction and with opportunities to discuss in detail the complexities of RRAM devices. According to Prof. Lanza, “keeping a small workshop size has been the clue for promoting knowledge exchange”. Given the satisfactory feedback from all the attendants, the workshop is expected to hold its next edition in 2019.